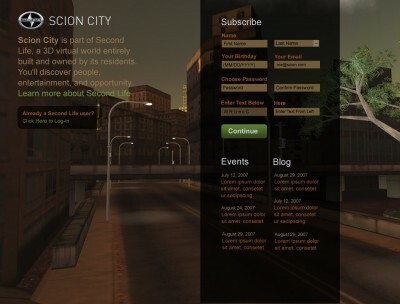 Scion City is a virtual world created by Millions of Us and Scion. 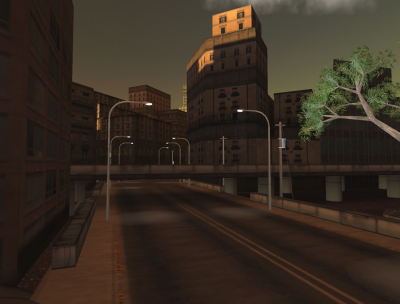 Virtual world residents can create customizable versions of cars and even attend auto shows to see new lines of cars. 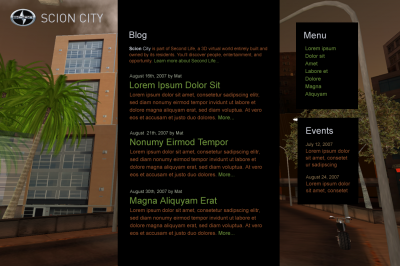 Millions of Us needed some design help for a virtual world campaign for Scion City. The aesthetic was based on creative done in-world by Millions of Us designers. We created concept designs for the site and coded the front-end templates.